We use different languages to communicate with each other. But the language of hand gestures is probably the most commonly used language. 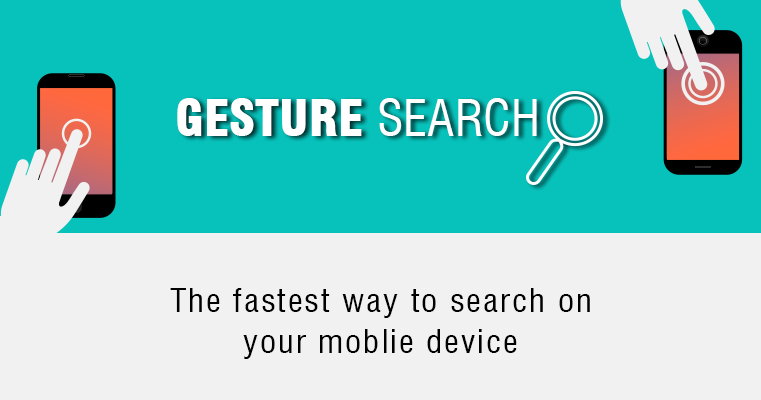 Here is how gesture search enables faster search on mobile devices. The most fundamental benefit of the gesture language is that they are more easily understood by people across nationalities, regions etc. For example, saying the English I am hungry might get you puzzled looks from a waiter in Paris who’s only familiar with the French J’ai Faim. Whereas, signaling the eating gesture with your hands might get you the menu card or the signature dish depending on the enthusiasm in the gesture. For reasons like these, devices like the levers in machines or the computer mouse aim to provide a more natural way of interacting with technology. Today, one of the most important & widely used device- the smartphone also uses gestures to provide users with a more intrinsic way to search and access data, apps & other functions on their mobile devices. In the following infographic, we analyze the different types of gestures and how users are using them to make search easier.